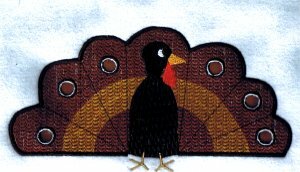 Add this turkey design to aprons, sweatshirts, wallhangings and more! 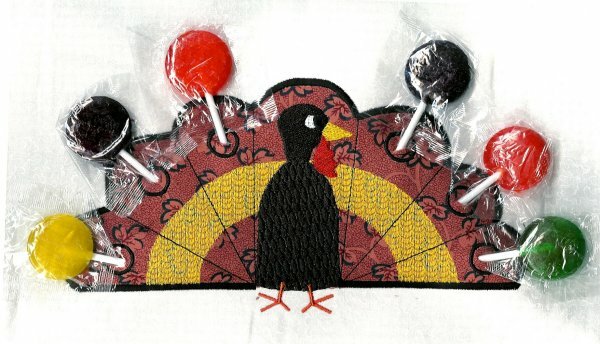 Holes can be filled with lollipops, tootsie pops, dum dums and more. What fun both adults and children will have.